by Claudia Wiesner, Acting professor for Comparative Politics and International Development Studies at the University of Marburg in Germany and Associate Professor (dosentti) at Jyväskylä University in Finland. In my research I currently concentrate on studying political concepts in European integration. During a Marie Curie fellowship at Jyväskylä University´s Finnish centre for Political Thought and Conceptual Change 2012-2014 I developed a research agenda for applying the approaches and practices of conceptual history (or Begriffsgeschichte in German) to the analysis of European integration from a political science perspective. 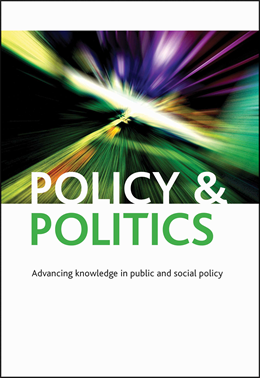 Political concepts have two dimensions that are particularly important for political science: They first serve as tools for describing, analysing, explaining, and understanding its research objects ‒ concepts serve as analytical and theoretical categories. But, this is a key insight of conceptual history or Begriffsgeschichte, political concepts are not static and immutable, they are themselves contested and controversial and an object of politics. Concepts, second, are factors and indicators of social, institutional and political changes, conflicts or debates. a) key analytical and theoretical concepts now refer to a changed world in two respects. The first one is usual in political science: its objects are in constant change and transformation, they change over time. The second aspect regards the established methodological framework of the nation state (or “methodological nationalism”). In the developing multi-level EU regime, nation states no longer are the only reference frame for parliamentarism, citizenship or government – even if nation states may still be central, the EU and sometimes sub-national entities have become other reference frame Nevertheless, the EU is often judged based on a-historical mainstream interpretations of nation state traditions of key concepts. b) Concepts as analytical and theoretical categories should be systematically reflected or re-described with regard to the setting of the developing EU multilevel regime. Such reflections are rare, despite some exceptions. b) through symbolic and conceptual politics trying to forge a new conceptual language (“the area of freedom, security and justice”) and symbolism (flag, anthem, Europe day) with regard to the EU. These attempts mainly come from EU authorities like the Commission, but also from national politicians. But so far, these issues have seldom been systematically researched in EU studies and political science, and neither in conceptual history. While EU studies and political science traditionally have been based on a methodological nationalism and an exclusive ontological framework reproducing dualisms (objective–subjective, individual–institution, supranational–national etc. ), which prevent research from elaborating a more complex, ‘thick’ empirical description of EU integration, conceptual history seldom tackled European integration as research subject. In political science, the approaches and practices of Conceptual History and Rhetorical Analysis have mainly been used to assess ideological transformations in political debates. Against this background, the key innovation of my research agenda lies in the application of the methodological perspective of conceptual history to the analysis of European integration: Political concepts are not stable, but their usage and meanings are always contingent and controversial. Conceptual change is influenced by political, institutional and rhetorical strategies that in turn are linked to interests or changes in politics and society. Concepts thus are as factors and indicators of social, institutional and political changes. In conceptual-historical terms, constructions, ascriptions, and redescriptions, of concepts are a key to analysing the political, institutional and rhetorical strategies and interests of the relevant agents. Conceptual History provides a wide array of tools and practices for both short-term and long-term analyses that will widen the mainstream political science perspective on European integration. I currently proceed with this research agenda as a team member of the Finnish Academy Distinguished professorship project “Transformations of Concepts and Institutions in the European Polity” (led by Prof. Niilo Kauppi). 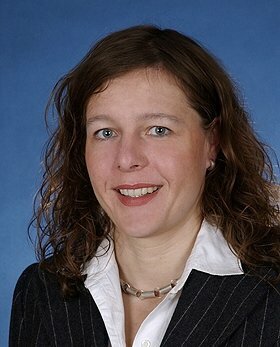 Claudia Wiesner is Acting professor for Comparative Politics and International Development Studies at the University of Marburg in Germany and Associate Professor (dosentti) at Jyväskylä University in Finland.